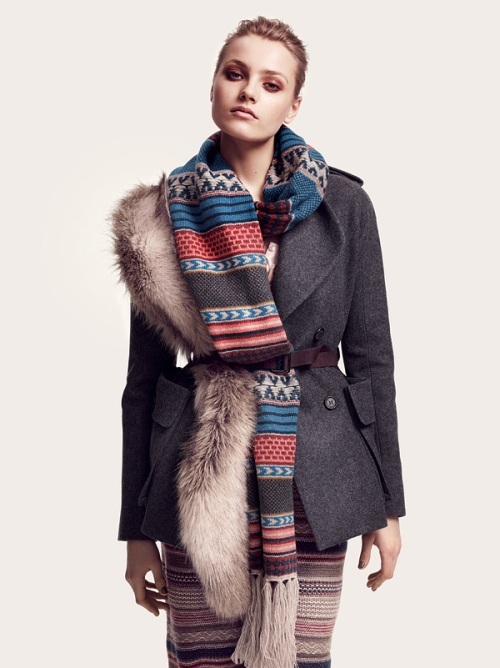 How do I put on this winter scarf ? One question that pops up in all our minds every time we are putting on our favorite winter accessory that is the winter scarf. The scarf completes our entire attire , doesn’t it ? It’s like the easy add up which gives a fresh complete look. But we can’t carry the same old way that is the simple pull in. There should be some new way of wearing the scarf which gives an entirely new look. Let me provide with quick easy ways of showing off your winter accessory in the best possible manner. For this particular style all you need to do is wrap your scarf around the back of your neck with the ends hanging towards the front. Following which just adjust it a bit so that it falls on the lines of the open coat. This is handy when you are wearing a patterned scarf. The look is very functional and ravishing. We all love the bow knots , isn’t it ? 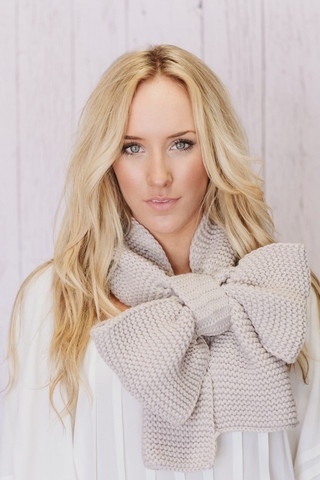 Well , you can wear your scarf in the same manner by tying it into a bow at the neck. 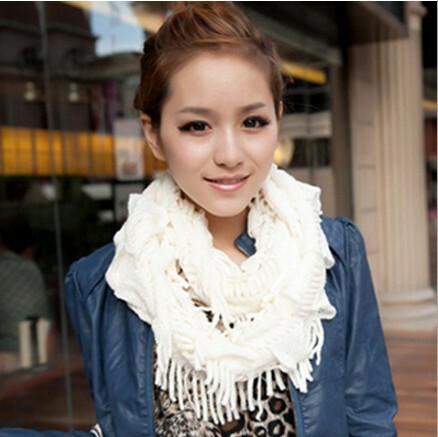 It’s fun and a very different , chic way of carrying the scarf during winters. Put on the bow at the centre or more so to one side. Take on any size you want in accordance to your face type and attire. This styling gives you a very chic look. 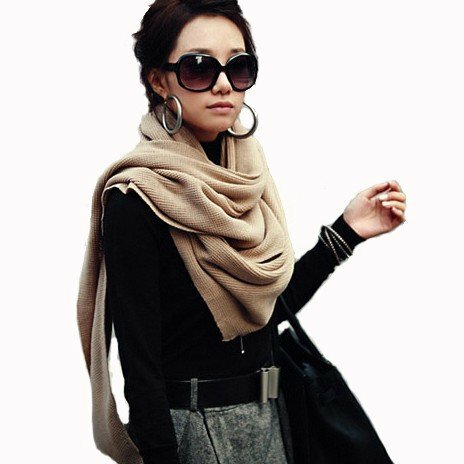 The square scarf is a very handy design of a scarf. It’s a size best fit. The shape can be worn as it is or you can also wear it in a triangular manner by folding it into half around your neck. Keeping the pointers of the triangular look in front while the wrap ends at the back of your neck. Do let them hand down the front. This look gives you a very elegant styling when teamed up with short winter cover ups. When you are wearing a longer hemlines a longer waist length scarf is great to complement it. 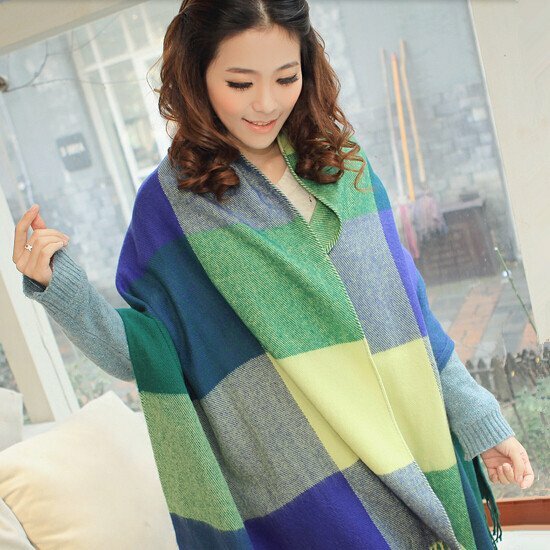 Drape your scarf over a longer length for a look so different to the winter attire. If the scarf is thinner you can loop it and wear it to the front while if the type is heavier then try leaving it draped open. This would give a very classy look to carry for yourself. The simple and evergreen way of putting the scarf on is a simple slip down your neck and leave it at that. Free and hanging. It’s an easy and a layered look , completely effortless and classy at the same time. You can team it up with a normal sweater or an open thick cover up. It’s a freestyle. Give your neck wraps the right treat this winter. Go glee and stylish ! This entry was posted in Create the Look and tagged bows, scarves, Square scarf, styles, winter accessory, winter scarf, wraps.